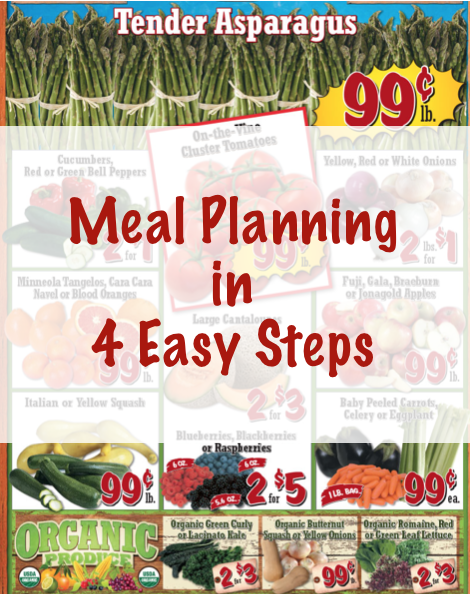 For many of us, the idea of “meal planning” sounds daunting. Who has the time to put together perfectly planned meals, buy all the ingredients, and get it done in one day? Or even a series of days? The key with meal planning is to start small. Making a few easy changes that you can do every single month will ultimately produce good habits. 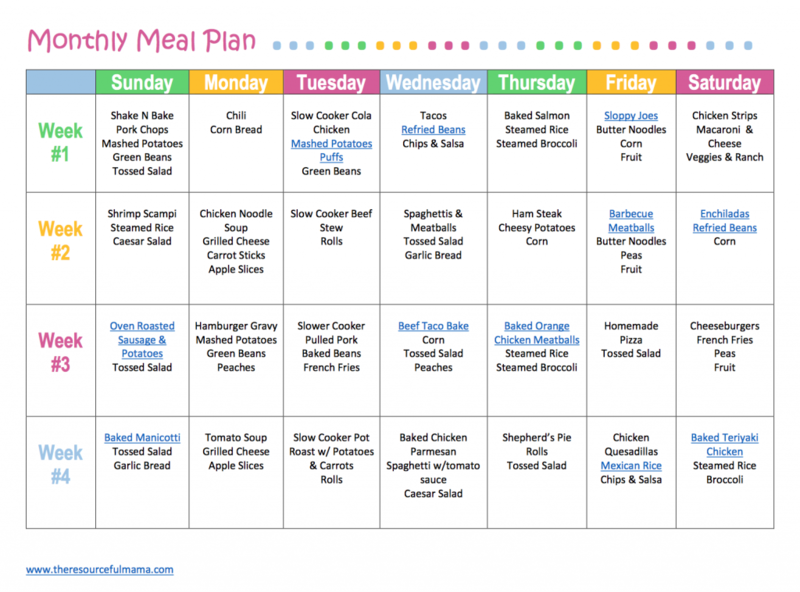 These habits will carry on through each month and before you know it, you will become more and more proficient at meal planning. If you’re wanting to start small, you’ve come to the right place. Repeat each recipe week by week going Mon-Fri. It’s best not to start by planning every single meal of the month because there will be days where you eat leftovers, go out on date nights, or have dinner at family member’s house, and those days are often unpredictable! So leave a couple spaces open in your month. This part is REALLY easy. All you do is take the ingredients of each recipe and list them together. You will need 4 of each set of ingredients. So if you are making salmon salad on Monday nights, make sure you list 4 bottles of dressing and 4 bags of lettuce, catch the drift? What is even more helpful (especially if you have to shop with little ones) is making your grocery list categorized by aisle. So list all of the fresh produce together, and then move on to other things like boxed cereal. Ok, so this is more like two steps in one, but these steps basically go hand-in-hand. When you get home from the store, chances are you will have some slight prep work to do. Also, you may have bought huge bulk packages of meat! During this step it’s important to freeze what needs to be frozen to keep it fresh for the entire month. If you have some extra time, it is best to put meats in individually frozen packages or plastic baggies. That way, when you are ready to make a meal, all you have to do is grab a bag and defrost! It makes life a WHOLE lot easier. Remember, if you keep this up, you are well on your way to saving your family hundreds if not THOUSANDS of dollars per year! It only takes a few small steps to make that big of a difference in your budget.